A former coach of the late Sinethemba Jantjie has confirmed that he wanted the player to join Mamelodi Sundowns. Jantjie, who was playing for Free State Stars and was one of the top wingers in the PSL, sadly passed away on Monday this week after the car he was driving was involved in a horrific accident in Bethlehem in Free State. The fallen star will be laid to rest in Whittlesea in the Eastern Cape today, as confirmed from Ea Lla Koto earlier in the week. Sundowns’ chief scout Floyd Mogale, who previously coached Jantjie at Ea Lla Koto, confirmed that he wanted the player for the Brazilians. 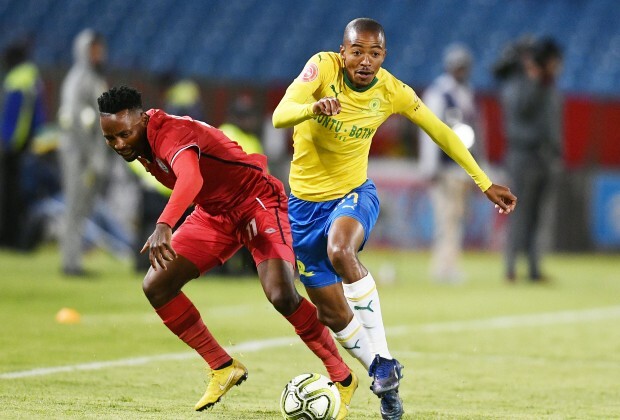 “When I first saw him playing for Mbombela United during the promotional play-offs (in 2015), which led to the team winning promotion to the First Division, I was supposed to have brought him to Sundowns. I had seen from back then how talented the boy was,” said Mogale. “He would have made it (at Sundowns). He had speed and he was skilful, and those are some of the characteristics we look for from a winger in order for him to play for Sundowns. Speed, dribbling and he should be able to play in tight spaces, and Mgijimi (Jantjie) had all of those characteristics,” added the Sundowns chief scout. Mogale believes that Jantjie would have been successful at Downs, playing alongside Thapelo Morena in coach Pitso Mosimane’s team. “We (Sundowns) play in the Champions League and that boy had big match temperament. He wasn’t easily intimidated by anything. So, that was the kind of a player I wanted to come. Imagine having him on one side and (Thapelo) Morena on the other side…the speed - that combination would have been deadly. Football has changed and everything is about speed. You need a player like Mgijimi to carry you through. May his soul rest in peace and I hope that his family will be strong,” concluded Mogale.